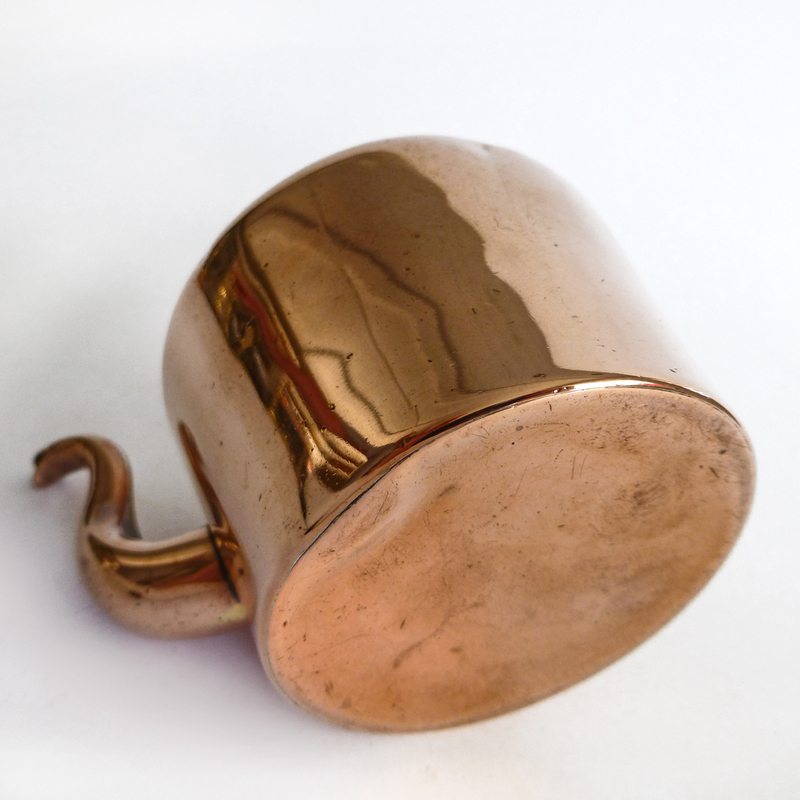 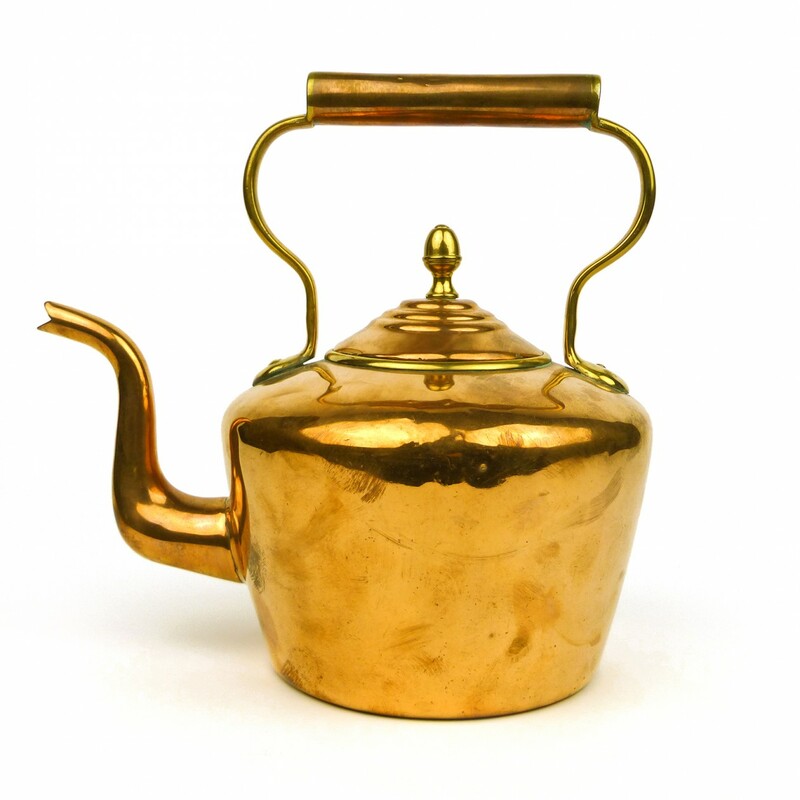 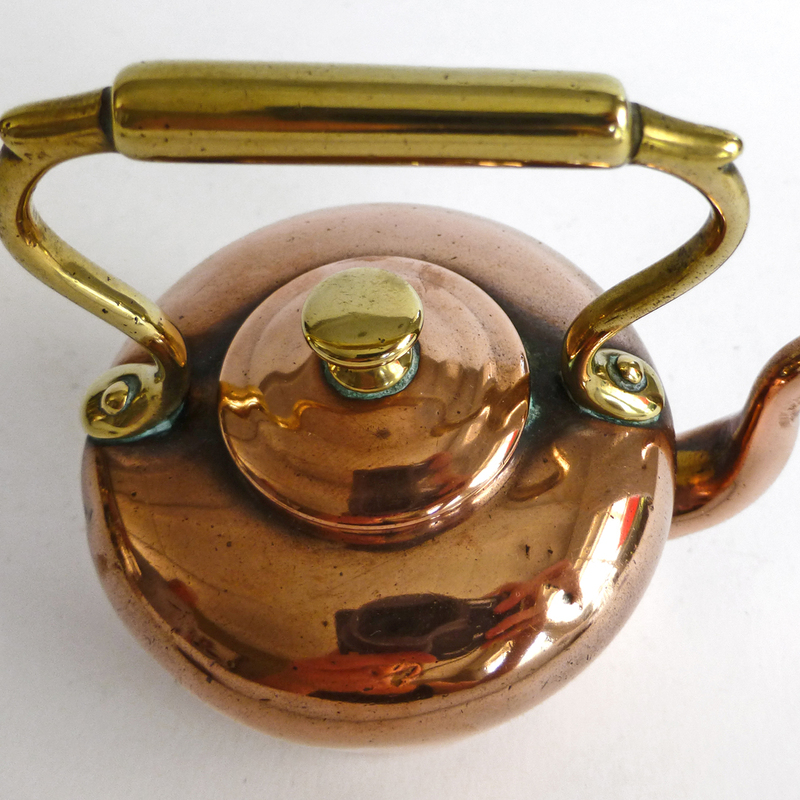 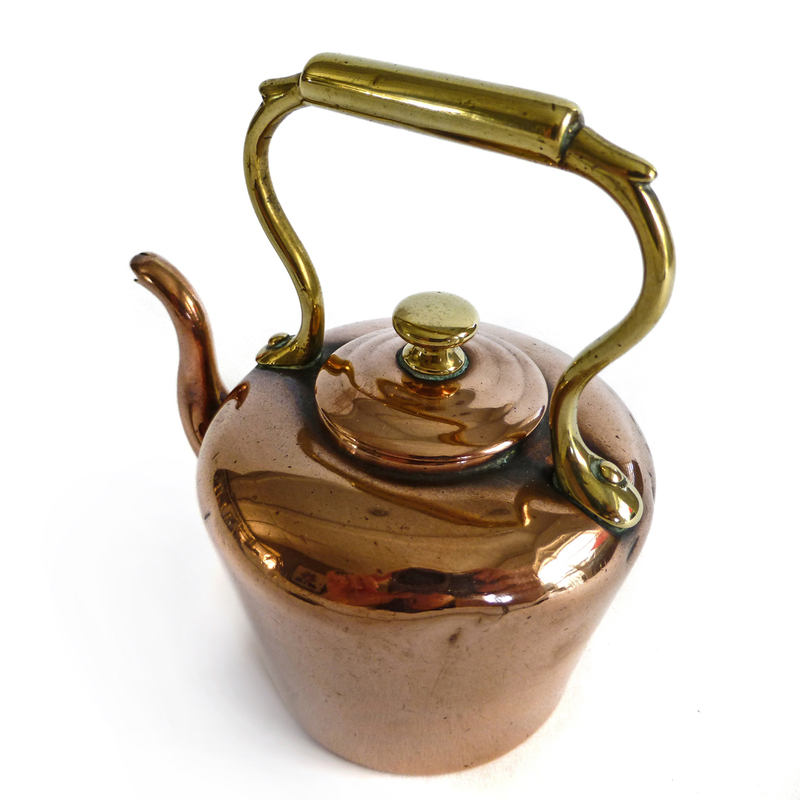 English Victorian Miniature Copper Kettle. 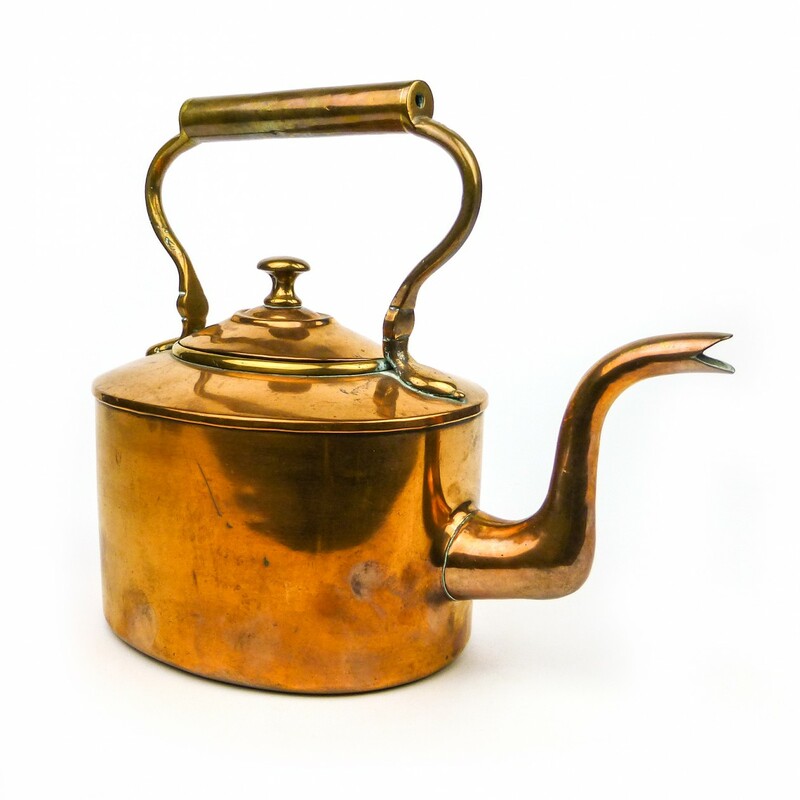 Circa 1875. 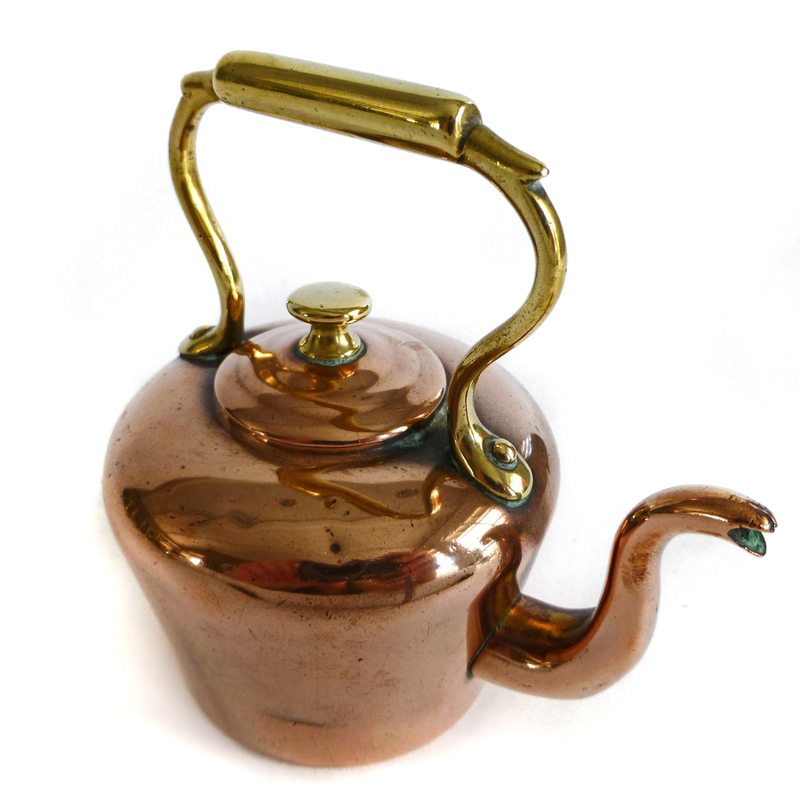 Brass Handle and Brass Mushroom Finial.